White Swan now offers free shipping of our BBQ, anywhere in the continental US! The Best BBQ in Eastern North Carolina! Our pork is slowly cooked in a covered cooker which holds in the smoked flavor. The meat is then chopped and ready to eat. Great on sandwiches in a hamburger bun with cold slaw or by itself, there is no other Bar-B-Q like it. Platter items include the best pork Bar-B-Q, Fried Chicken, Fried Shrimp, and other side dishes! Try the Brunswick stew, boiled potatoes, coleslaw, french fries, and fried pork skins. And of course, a basket of the White Swan's celebrated hushpuppies are served with each platter. Keep Up with The Barnyard Chef on Social Media! 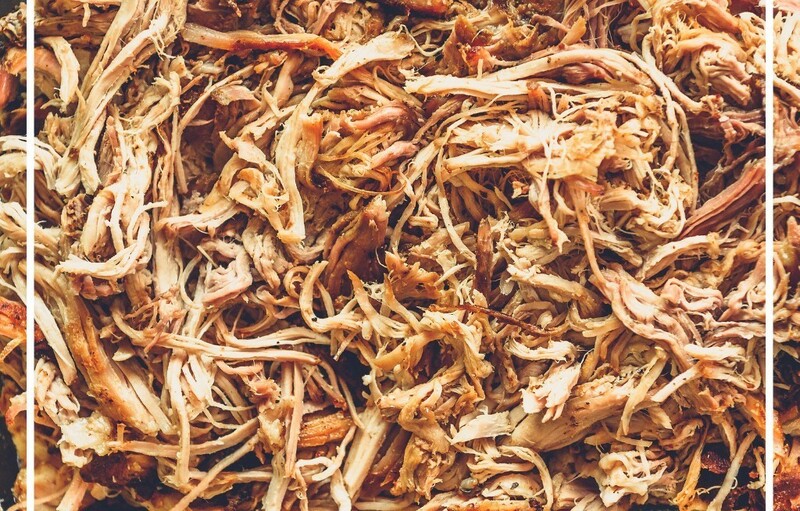 White Swan Bar-B-Q features award winning, genuine Eastern North Carolina pork barbecue. Made from a 50 year old secret family recipe, White Swan Bar-B-Que has been voted one of the top 25 Bar-B-Qs in the Southeast. Eastern North Carolina Bar-B-Q is unlike any other in the world. It's a taste that you must experience. Our Bar-B-Q is made with a vinegar and spice sauce which enhances the smoked flavor of the fresh pork. Private dining facilities for groups of up to 50 people are available. We also offer a variety of catering platters to take your party or event to the next level! President, Linwood Parker, White Swan BBQ. From Our Family To Yours - Thank You! Front from left to right: Dorothy Parker, Riley Ruth Raynor, Linwood Parker, Jordan Vanier, Elizabeth Raynor. White Swan Bar-B-Q features award winning, genuine Eastern North Carolina pork barbecue. Made from a 50 year old secret family recipe, White Swan Bar-B-Que has been voted one of the top 25 Bar-B-Qs in the Southeast. Eastern North Carolina Bar-B-Q is unlike any other in the world. It's a taste that you must experience. Catch Boss Hog on our Facebook, Instagram, & YouTube! Copyright ©2019 white swan BBQ & Fried Chicken. All Rights Reserved.